After decades helping people in and around Seattle with their mortgage needs, we have clients do strange things. Some of these can actually ruin a loan application at the last minute—snatching defeat from the jaws of victory. Here are some valuable lessons for anyone about to start a new mortgage application. We had nearly completed Marge’s refinance. She was reducing her interest rate and drawing out cash for some home improvements. She was an ideal borrower—more than 20 years with the same company, flawless credit and a high appraisal on her home. Her salary was more than enough to qualify her for the loan she wanted. We were waiting for loan documents to arrive when I got a call from the underwriter. I was surprised to hear this, since I had called Marge several times at work, and we had recent pay stubs from her job. I called her to see if there was some kind of mistake. “I thought I told you,” she said. “I retired! Now I’ll have lots of time to work on fixing up my house.” Retired. No longer working. Drawing a small pension and Social Security—not enough income to qualify for the loan she wanted. I had to tell her she wouldn’t get the loan. She thought that since her loan had been approved, it was clear sailing. So she retired before her loan was completed. If she had waited just three days, she would have been fine. The lesson: Don’t make any significant changes in your employment—or leave your job—while your loan is in process. All lenders perform a last-minute employment check right before issuing funds for any loan. Bret and Mary were buying their first home. They had saved enough cash for their down payment and had given us bank statements to show that the money had been in their accounts for at least two months (this is called “seasoned funds” in bank lingo). I cautioned them about moving money around. I explained that every penny in the transaction has to be documented, including transfers from other accounts. Bret, a lawyer, assured me that he understood how it worked. When the day for signing the final documents arrived, Bret had a cashier’s check with him. It was drawn on a bank I wasn’t familiar with. He had forgotten to tell me about this other account. I explained that he’d have to bring bank statements for that new account. He sent them to me that afternoon. I found a number of large deposits—several thousand dollars. They were gifts from relatives, he said. We spent the next week tracking down these generous relatives and getting them to sign gift letters—and providing us with their own bank statements to source the funds they were giving to Bret and Mary. They were reluctant at first, but, at Bret’s urging, they gave us the documents we needed to close the transaction—a week later than we had planned. The lesson: Don’t bring any new accounts into the picture at the last minute. We have to account for every dollar in the transaction. Maria and Peter were refinancing to reduce their rate, saving nearly $500 a month. We had gotten their loan approved quickly and were about to order loan documents to complete their transaction. My phone rang as I was completing the document order. It was Maria. “Guess what we did!” she said. I had a sudden sinking feeling. “We finally got that new car we wanted!” This was not good. “Please tell me you didn’t get a loan on the car,” I said. “Oh, we got a great rate, and a good deal on the car. We’ll be able to make the payments with the money we’re saving on the loan.” I ran some quick calculations. They no longer qualified with the additional payment. Lenders are far more cautious than they were just a few years ago. All lenders will perform a “credit refresh” right before funding every loan. This is to determine whether the borrower has incurred any new debt since the application. In Maria and Peter’s case, the new car loan showed up on the credit refresh. Fortunately, we were able to get the dealership to take the car back and cancel the sale, so their loan funded. The lesson: No New Credit until the loan is complete. The credit refresh will show not only new credit, but also new credit inquiries. One new account can cause an approved loan to fall apart. Don’t allow anyone else to run your credit, for any reason, until your loan process is complete. Preparation is key to avoiding mistakes with a mortgage loan. Whether it’s knowing the right things to do or being aware of the pitfalls to avoid, the knowledge is available, and having it for yourself will make all the difference. How ready are you? 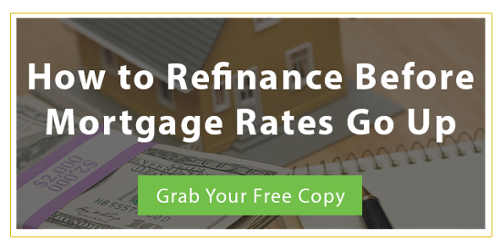 If you’re refinancing your home, arm yourself with the information included in our free ebook, which you can download by clicking the button below.